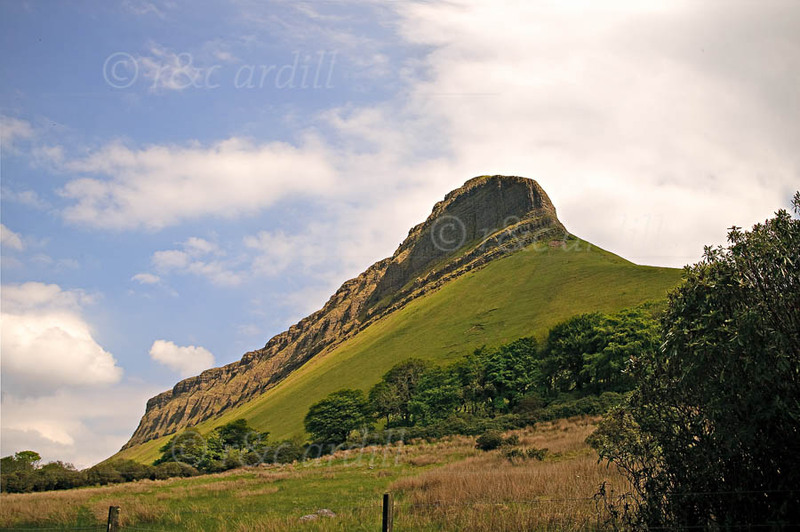 Photo of: West of Ireland: Sligo:ben Bulben. Ben Bulben (or Benbulbin) viewed from the north. This extraordinary mountain was immortalised by Yeats poem 'Under Bare Bulben'. Yeats is burried in Drumcliff cemetery nearby.